It’s that time of year again and what better way to treat the kids during a vacation than an amazing family holiday to Disneyland? Euro Disney has everything your family needs for a great time. With hundreds of rides and attractions, lots of themed restaurants, a zoo and a daily Disney parade you’ll be spoilt for choice as you wonder around this magical kingdom. You’ll never hear the phrase ‘I’m Bored!’ from the children whilst your on holiday here, and you’ll also be the coolest parents that ever lived – at least for a month or so anyway! Below we have created a list of top things to do whilst visiting this fantastic but massive place, as if you only have a weekend or a short amount of time you may not get around everything you’d like to see and do. Euro Disney does have its fair share of rides but if you like roller coasters you will love Disney’s ultimate ‘Space Mountain’ ride. Hold tight, whilst you twist and turn at alarmingly speeds through a dimly light space dome. Don’t forget to do your cheesiest poses for the camera half way through – a family shot to remember! Who’s your favorite Disney character? Aladdin? Dumbo? Snow White? All your favorites from the past and present come to life, in the daily Disney parade that goes right through the entire kingdom. Sing along to all the songs from your childhood, dance in the fairytale streets and maybe even shake hands with the man himself - Mickey Mouse! What more could anyone want? Fancy taking a fast and furious log ride down the almighty Disney shoot? 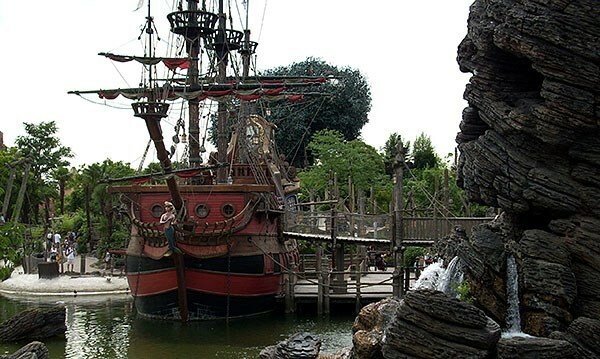 The Disney log ride sees you taking a tour around the whole complex before being whooshed down into the water and coming out more than a little bit wet. Don’t worry though as you can buy raincoats and dry yourself off afterwards under the huge dryers provided. What trip to Euro Disney would be complete without taking in the iconic Disney Castle? Gaze up at it’s magical towers and let your memory take you back to your childhood and all the amazing Disney fairytales that you grew up with. Plus a family photo outside the Disney Castle will always have a prize place along your mantle piece when you get back home from your holiday. Taking the kids away as a family present, will have you creating special family memories for years to come and ensure you spend some quality time altogether. 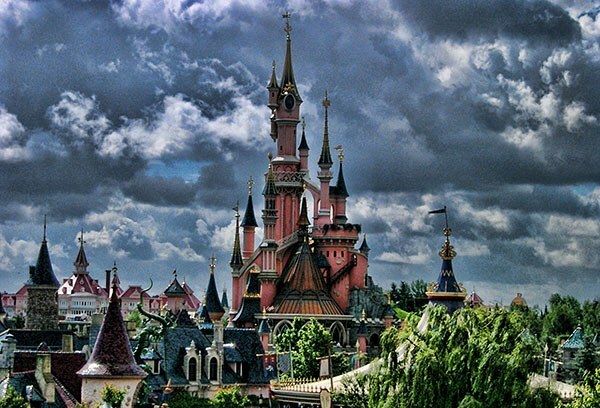 Euro Disney usually has special offers, such as if two adults pay full price for admission ‘Kids go free’ and many budget airlines fly to Paris – so you wouldn’t be breaking the bank too much also. Getting here is easy, with a dedicated train station at Disneyland® Paris Marne-la-Vallée/Chessy. Else, your best choice is to drive here. The parks are open year-round. Last updated by jack on 22 December, 2013 in Destinations. Weather-wise? No, not a chance! But as far as a fun day out with the kids, yeah, it's good. This looks pretty good, but does it actually live up to the one in Orlando? I've heard that the weather in that part of France is quite unreliable. I'd like to hear some morefrom it since I leave in Europe and my kids are crazy about DW. Ok Disney lovers, have a good one! Haven't been to the Tokyo one, didn't actually know they had one! Visited the one in Tokyo, i am not sure both offer the same experience. Have you been there before Jack?